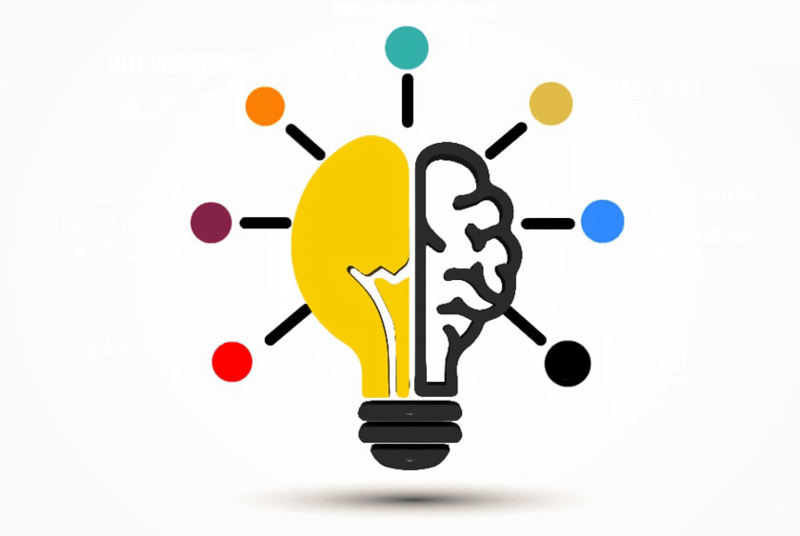 Coming up with new visual marketing strategies day in and day out can be exhausting – especially considering that it is all based on creativity and out-of-the-box thinking. According to studies, 81% of online readers skim through content and the move on to other pastures. This is an alarming piece of information given the time and effort it takes to develop a marketing strategy. Mind mapping is a very approachable and lucrative way to come up with new concepts and ideas – all you really need is a pen and a piece of paper. In short, mind mapping allows you to take a word or a phrase and branch out into several directions from the center piece. The new ideas, terms and keywords you come up with can then be used to create entire marketing strategies and content plans. But how does the process really work and are there any side-effects to using a mind map as your starting point for visual marketing content creation? While we don’t want to talk about technical optimization in creative work, search engine optimization (SEO) still matters. SEO governs whether or not your site will rank well and be seen by potential visitors and readers. Using visual marketing materials such as photos, charts and infographics gradually adds to your positive ranking. Articles can be strengthened through added visuals, and visual can be complemented with adequate descriptions and hypotheses. The more content types you offer, the more incentive you will give to people to remain loyal to your website. After all, everyone likes to see varied, mixed content in their favorite websites. Websites need certain revenue in order to remain viable and operational. In that regard, visual marketing content can add a lot of levity to your brand. Potential partners, influencers and contributors will take notice of your site and want to cooperate on mutually-beneficial projects. The more you invest into visual marketing, the more revenue your business will make in time. Now that we have a clearer understanding of what visual marketing can do for our brand, let’s refocus on mind mapping. 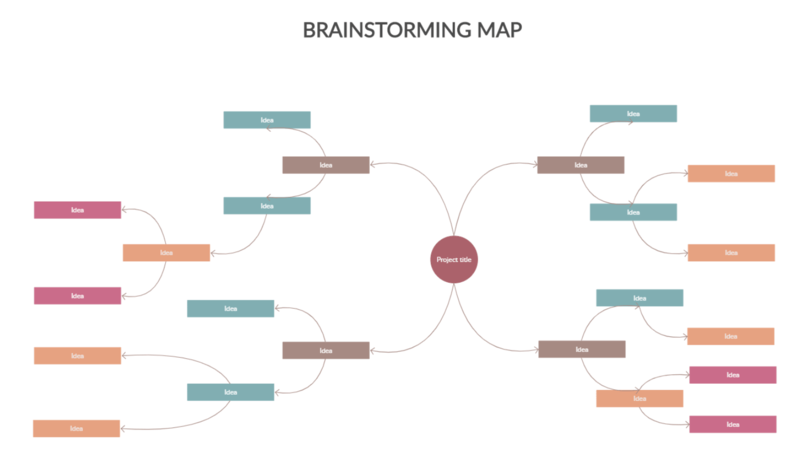 Mind mapping can be used in two ways: as a brainstorming tool as well as a visual marketing carrier in itself. If you imagine a chart with various interconnected elements, you won’t be far off from creating a mind map template of your own. Let’s take a look at how you can use mind mapping to both develop new ideas and put existing ones into context and prepare them for online publishing. Before you start your mind map, you need to be clear on what you are trying to accomplish by creating it. The KPIs or key performance indicators will determine the direction in which you will take your visual marketing strategy. These KPIs should focus on numeric goals such as number of sales performed or amount of revenue gained. They should also be fitted with deadlines so that you can track them more effectively and work towards a concrete goal. Once these KPIs are in place, you can choose an adequate mind map template and start developing your idea. Since we are talking about visual marketing and strategies involved in managing it, we shouldn’t overlook the importance of keywords. As we’ve mentioned before, SEO plays a major role in how your site is seen by search engines. One of the best ways to appease the algorithm is to use industry-specific keywords in your content. These keywords can be discovered through a tool such as Google Adwords and fitted into your mind map for extra measure. Make sure to settle on a select few words and phrases which can be developed into new mind map ideas later on. Once you settle for a template and place your keyword in the center, the process of mind mapping will begin. What you should keep in mind however are the KPIs you settled on before. While you should be allowed to have some creative freedom, you should also keep your goals in mind. You will have to develop new words and phrases based on the goals you are trying to accomplish. These words should correspond with the visual marketing ideals that would be suited for your brand as well. Don’t rush the mind mapping process and make sure to make the most of the options available. As with any creative process, your mind map will unavoidably bear ill fruit. The words or phrases you don’t deem appropriate or useful for your brand’s visual marketing should be left at the cutting room floor. Even though the template will help you organize your thoughts and focus your visual marketing efforts, it will in no way do your creative thinking for you. Keep branching out with the words you are satisfied with until you hit the creative roadblock. Don’t settle for the first things that pop into your mind while mapping. Chances are that these words were already obvious to you and you can find much better ones if you focus. Once you build a backlog of words and phrases in your mind map and eliminate any present detractors, you should reinvent your mind map. Meaning, you should start the map again and use the phrases you discovered through mind mapping to form new words, visual marketing ideas and final results to be implemented in your strategy. The visual marketing keywords you discover through mind mapping should find their place in your content in two ways: you can use the phrases to form visual content itself, or write the words in your content as an advertisement message. No matter which form you choose, you should make good use of the words you discovered and gauge their performance based on your initial KPIs. This will give you a good indication on whether or not you came up with good words for your visual marketing strategy. Depending on how you map your words and subsequently choose them, you run the risk of diluting your idea. A clear and wholesome message should be present in your visual marketing, no matter the brainstorming technique you chose. Once you start deciding on the final words to settle on, make sure that they reflect one another well. Visual marketing and written content go hand in hand – but using words for visual inspiration can cause problems. If you choose the wrong words in your final tally, you could end up with a visual marketing campaign that doesn’t reflect your brand’s values and concepts effectively. Don’t take the results of your mind map for granted and think about each word’s place in your brand’s representation. Lastly, it’s easy to choose words which sound different enough only to discover that they are synonymous. After all, mind mapping is a process with unprecedented freedom and results can vary in quality. Make sure to use a tool such as Oxford Dictionaries in your mind mapping process and the final decision making process. Eliminate synonymous words and settle for the representative and sound examples. It will help you avoid any confusion or later editing due to very few words being actually useful to your visual campaign. 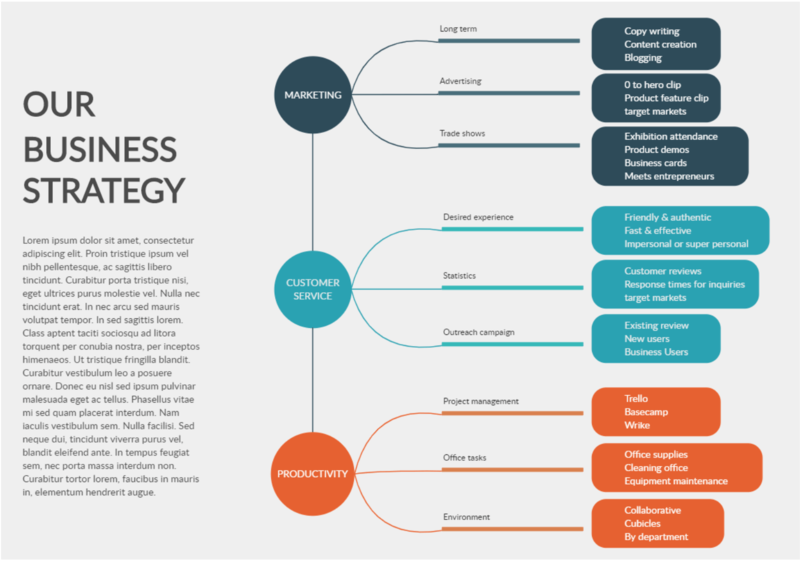 Mind mapping can be used for numerous goals and visual marketing strategy buildup is only one of them. Make sure to take some time to explore what this creative methodology can offer, especially through the eyes of Creately. Implement these principles and guidelines in your own mapping activities in order to get work done faster and with a higher degree of quality. Kristin Savage has been an educator, a writer, a marketing consultant, and even a reviewer for Pick Writers, a website that evaluates translation services. You can find her on Facebook and Twitter.